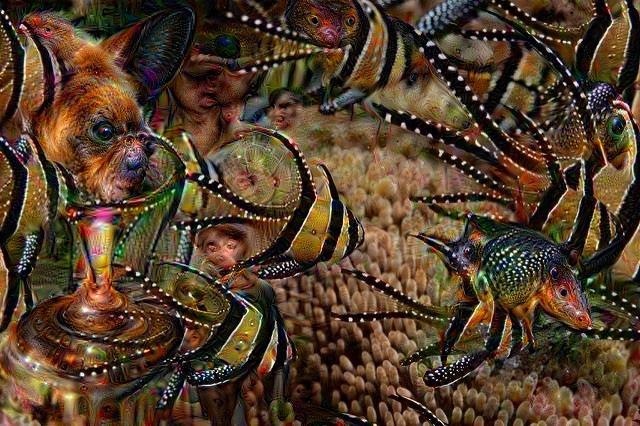 Can you figure out what this was? 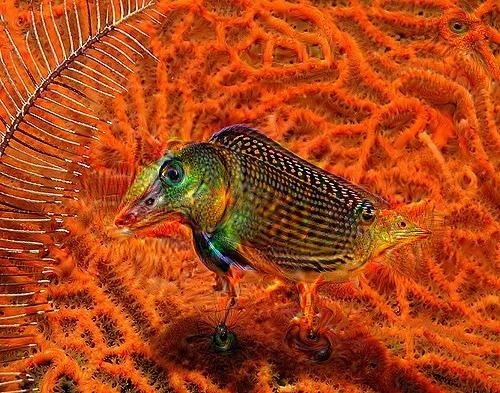 Pseudanthias leucozonas, a rare species endemic to DeepDreams. 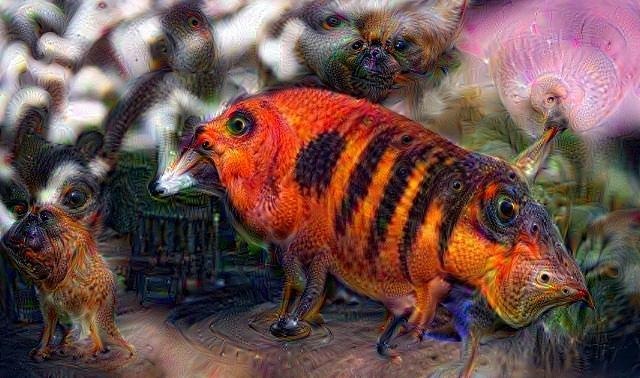 Flame Angelfish and a pug? 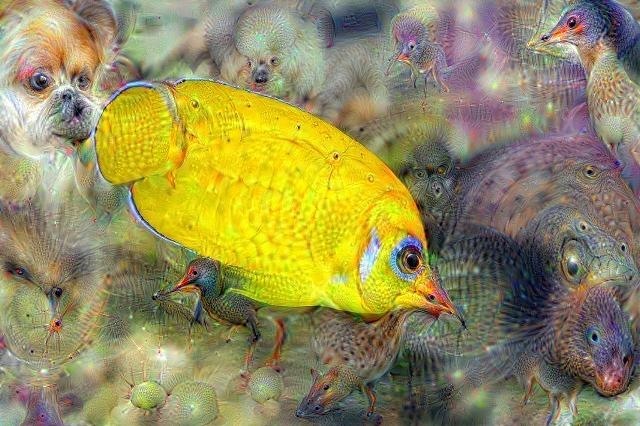 Lemonpeel Angelfish amidst the surreal. 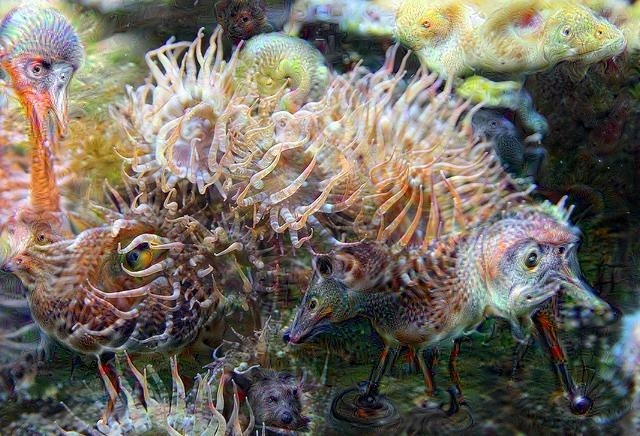 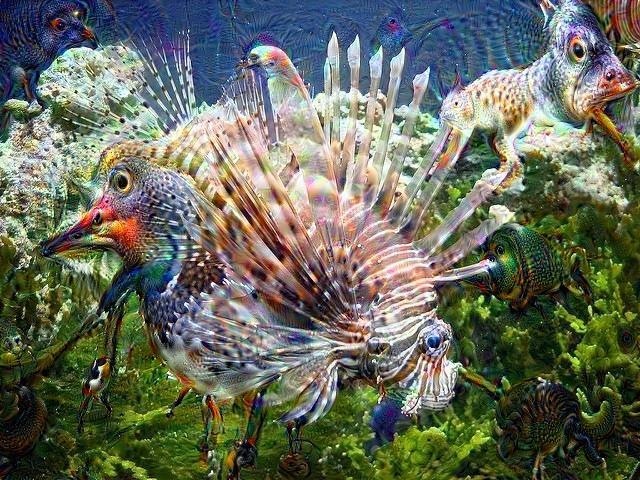 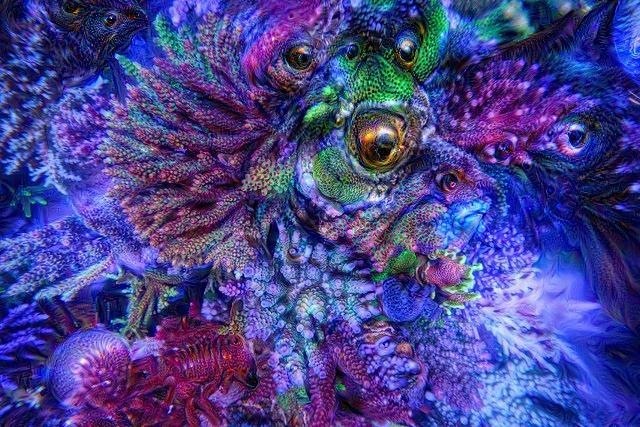 Weedy Sea Dragon perfectly camouflaged against the DeepDream. 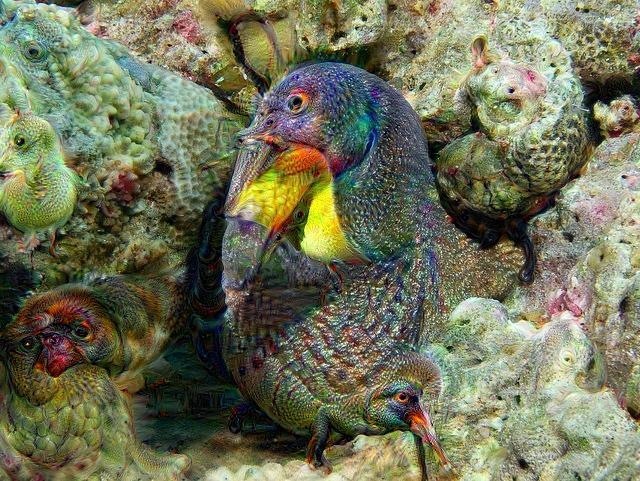 This was a Yellowmouth Moray. 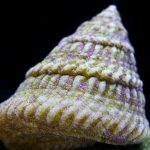 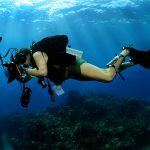 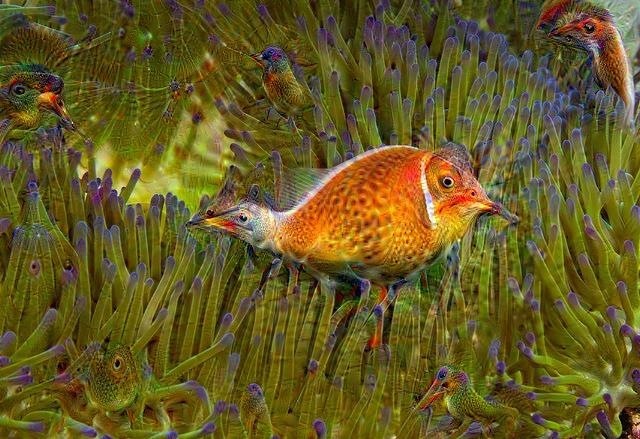 Christmas Tree Worms and chickens? 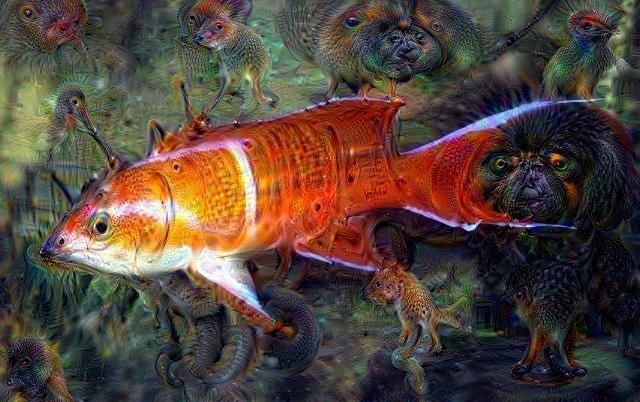 The new DeepDream Clownfish strain is currently in production from ORA. 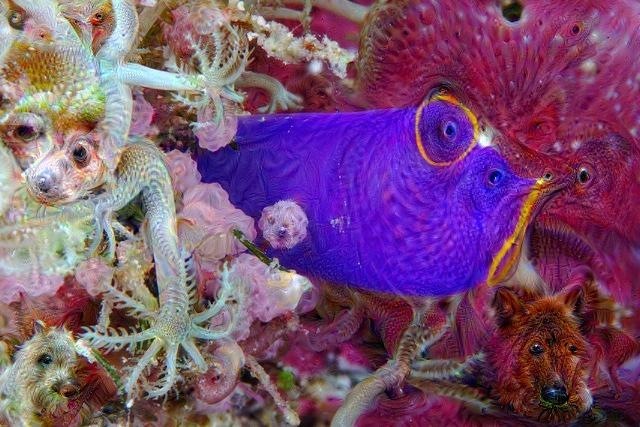 Is that a rabbit on its caudal fin? 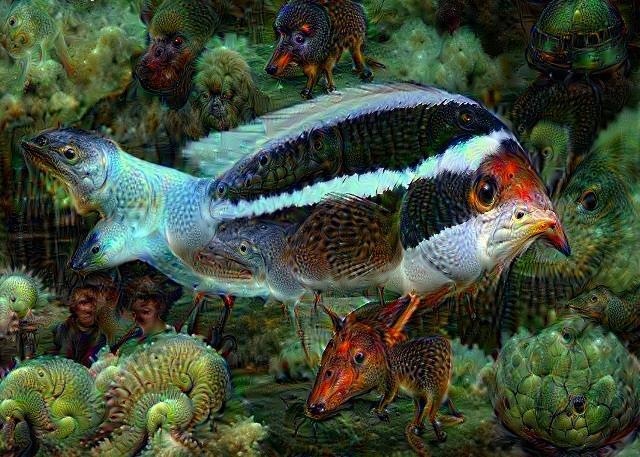 Clearly a Squarespot Anthias X Marlin hybrid. 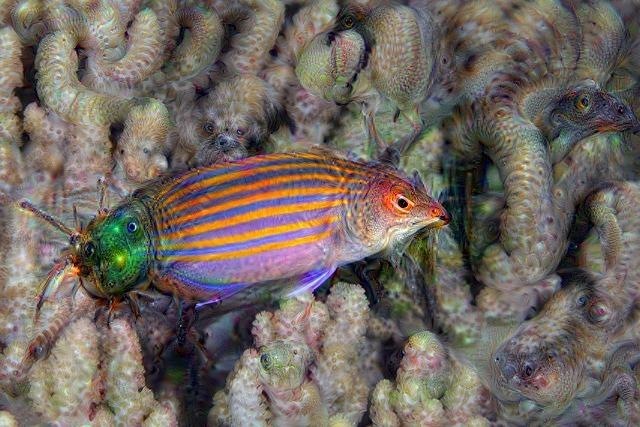 Six-line Wrasse with caudal deformity. 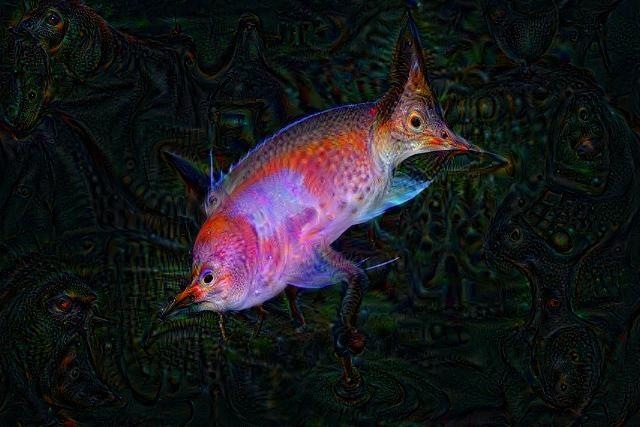 Passer Angelfishes swimming through a hellscape worthy of Hieronymus Bosch. 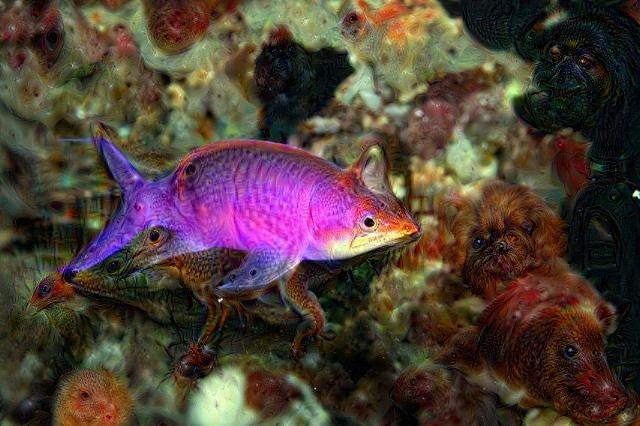 Pseudanthias tuka... and a Cairn Terrier and Dachshund? 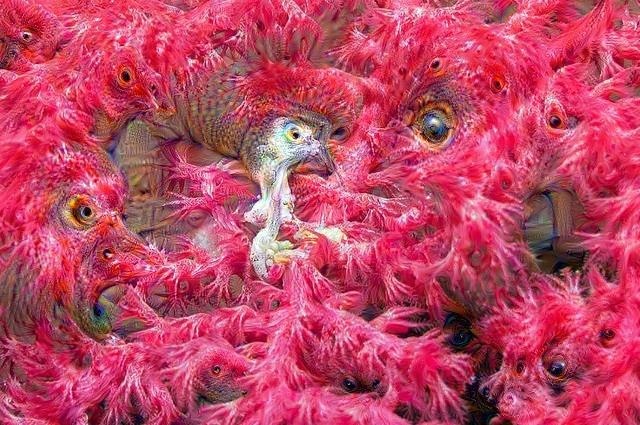 This was a pygmy seahorse on a gorgonian. 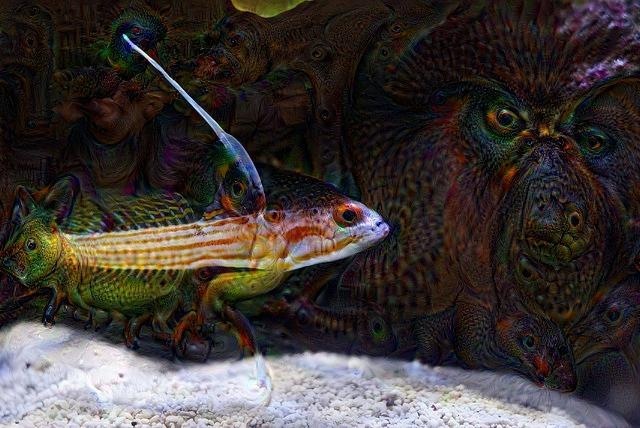 Manonichthys with a rat head? 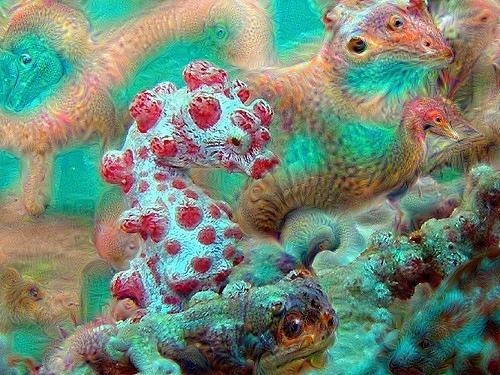 Pygmy Seahorse and an Archaeopteryx? 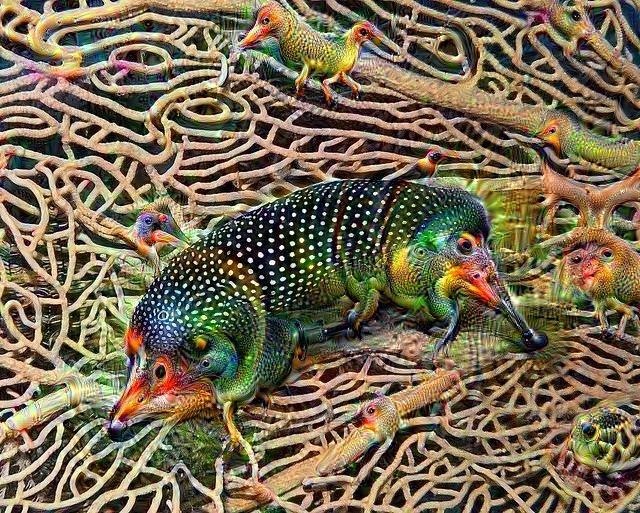 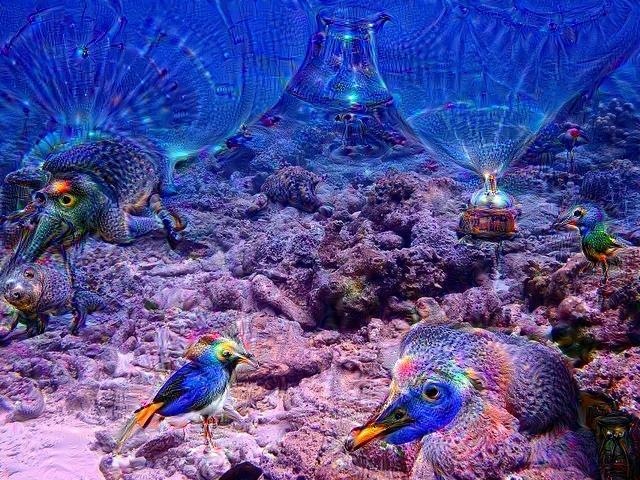 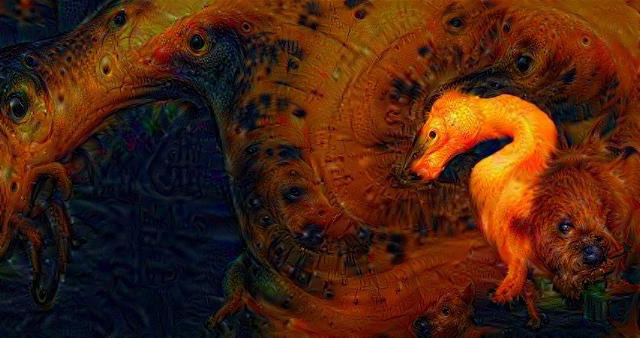 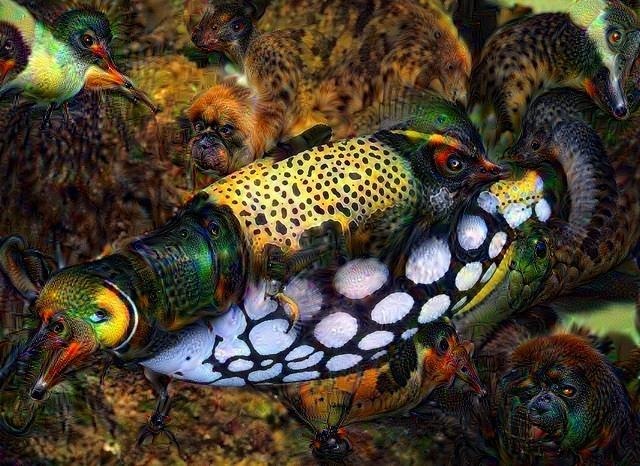 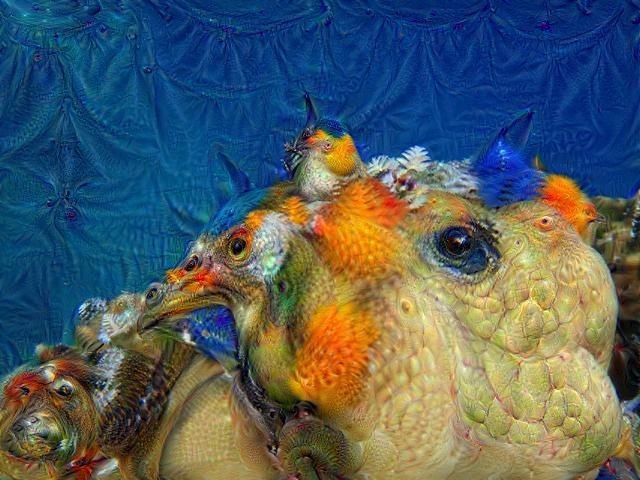 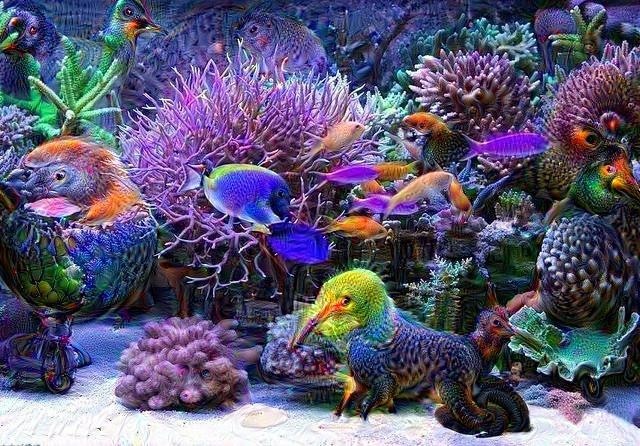 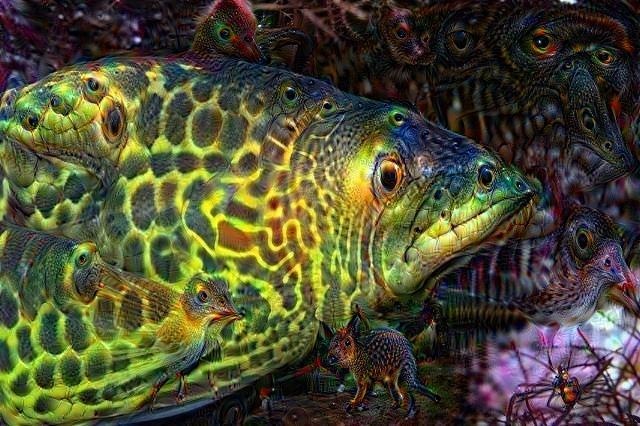 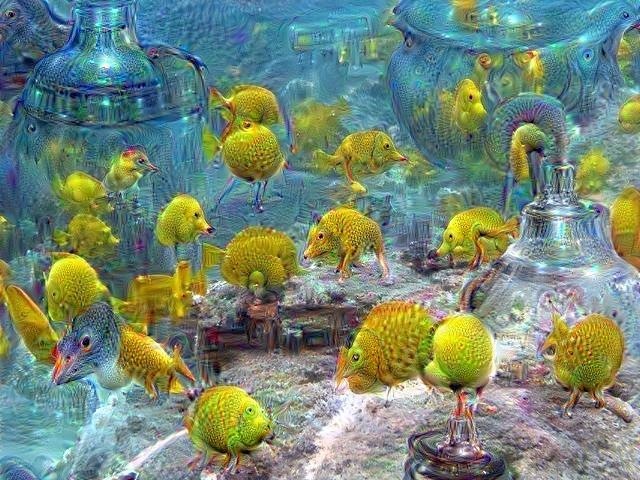 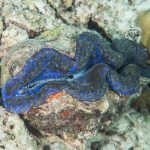 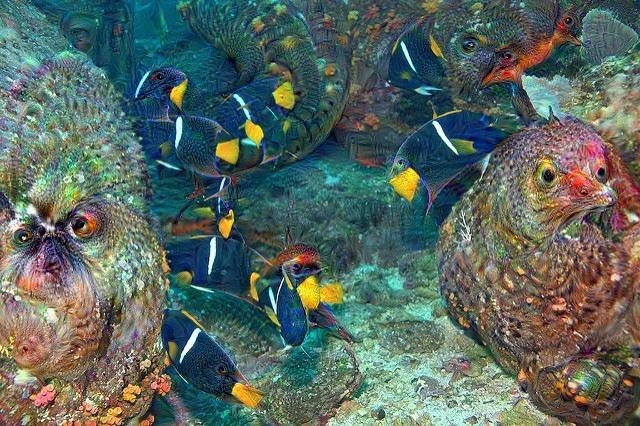 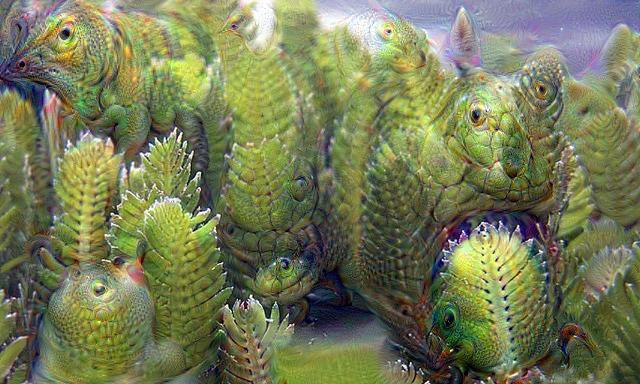 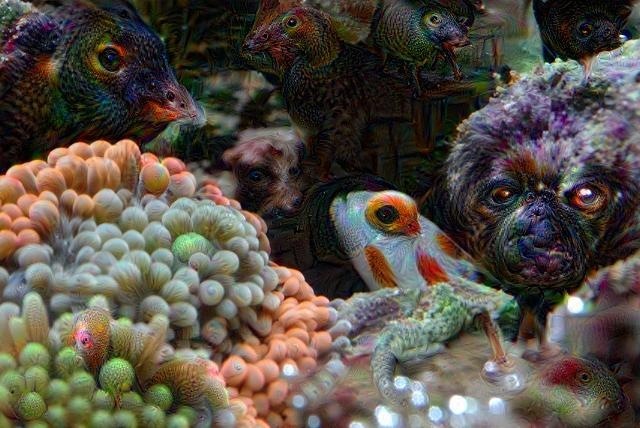 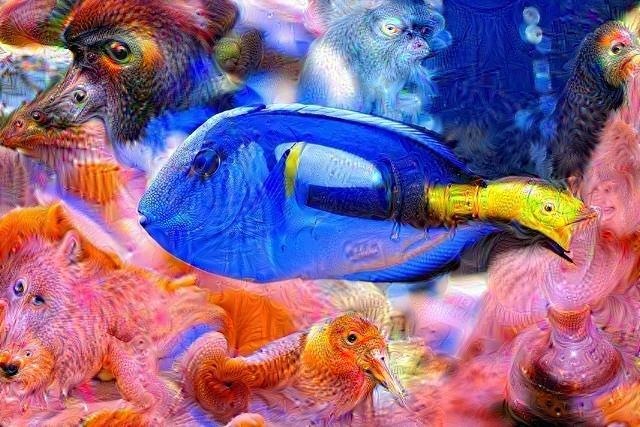 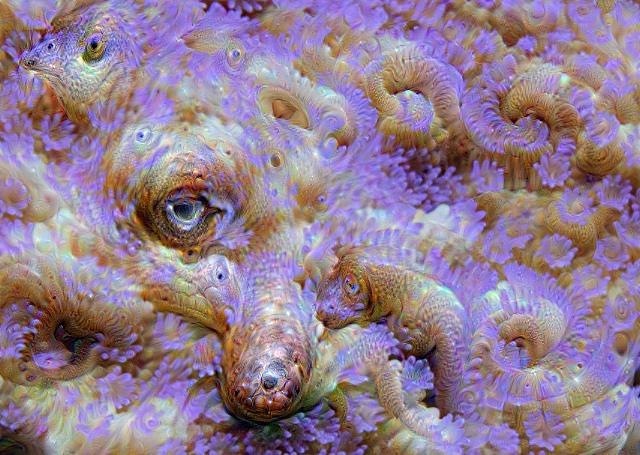 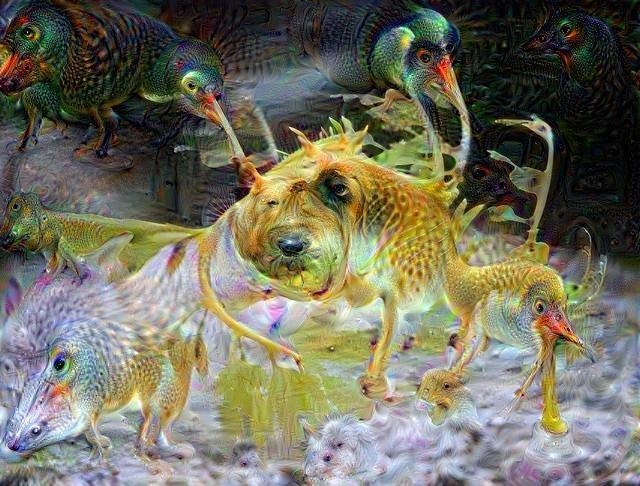 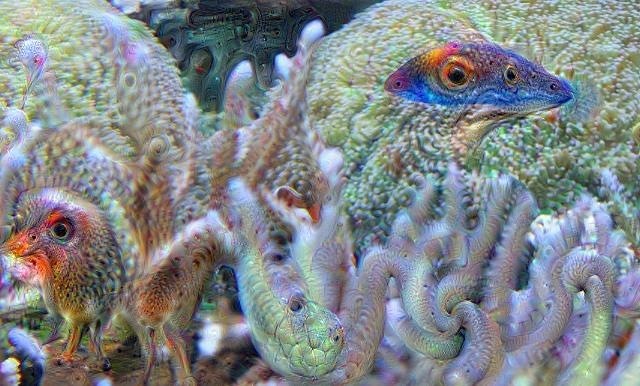 You can create your own images for free using the DeepDream Generator, though be aware that this will likely consume the rest of your afternoon.